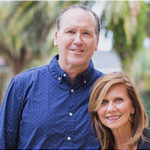 Robert and Pamela Crosby are ministry leaders and authors. They have pastored churches in New York and Boston and now serve a new generation of leaders at Southeastern University. Robert is Professor of Practical Theology and Pamela is the Senior Director of Compass: The Center for Calling & Career, also at SEU. The Crosbys are the co-founders of TeamingLife.com. They write and teach on family life and team-building. 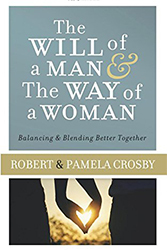 Their newest book together is The Will of a Man & The Way of a Woman: Balancing & Blending Better Together. Robert is a contributing writer to Outreach Magazine and Christianity Today and he holds a Doctor of Ministry degree from Gordon-Conwell Theological Seminary. 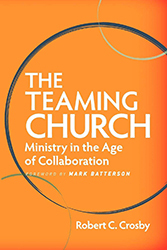 He has written several other books, including The Teaming Church: Ministry in the Age of Collaboration, More Than a Savior and The One Jesus Loves. His newest book was written in collaboration with Samuel Rodriguez and is entitled, When Faith Catches Fire. 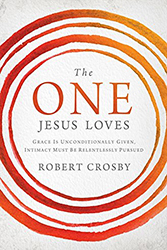 The Crosbys conduct conferences and retreats on marriage and family life. They appeared on the Focus on the Family radio show in March 2018. Blythe Daniel is the best representation we've ever had as authors. She brings a great combination of skill, enthusiasm and collaboration to the Writer-Agent process.